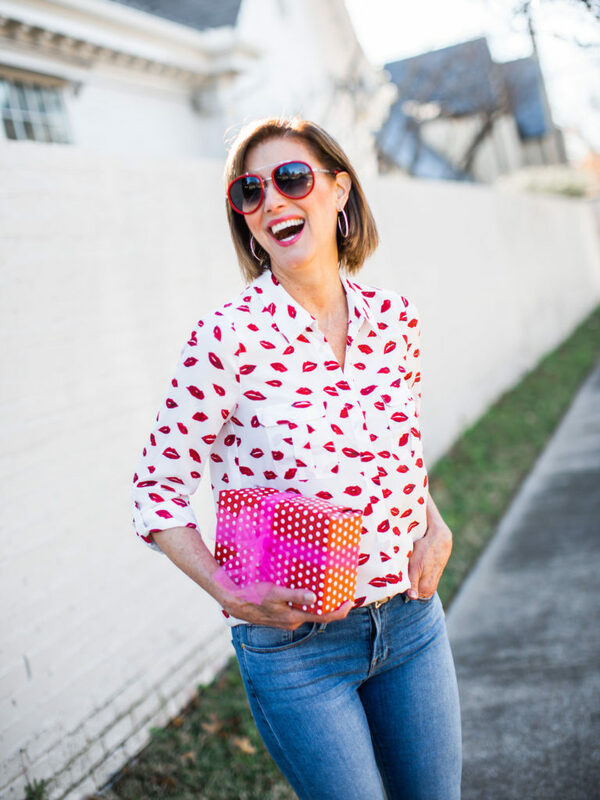 Valentine Gift Ideas - Fashionomics "every page"
Happy Friday and yay for another weekend. Looks like it is going to be a cold one everywhere. Better cover up those cyclamen!! I plant those every year knowing that I will have to drag out the covers if it gets below freezing. I like pansies and kale better because they seem to be able to withstand the cold weather. So we are really having winter this year and it’s a good time to warm up your hearts and think about some Valentine Gift Ideas for friends or little ones you want to spoil. 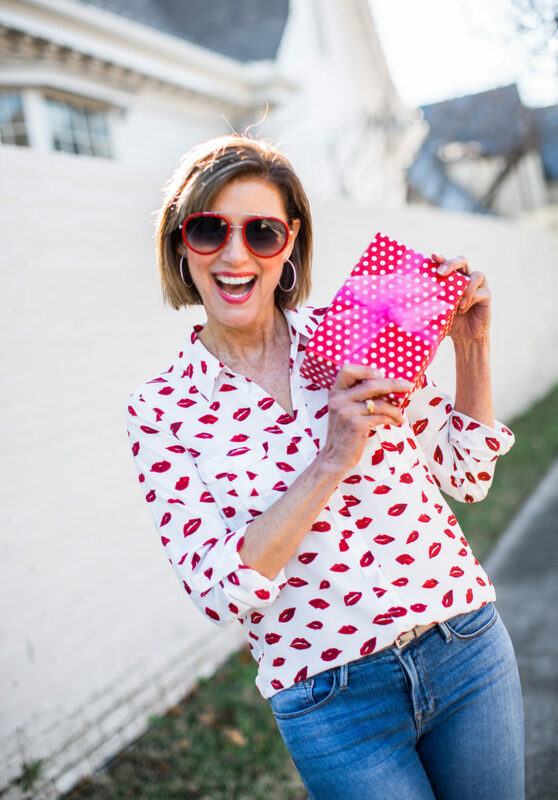 I have always loved red and pink for Valentines Day and we sure need to spread some love around this year – don’t you think!? 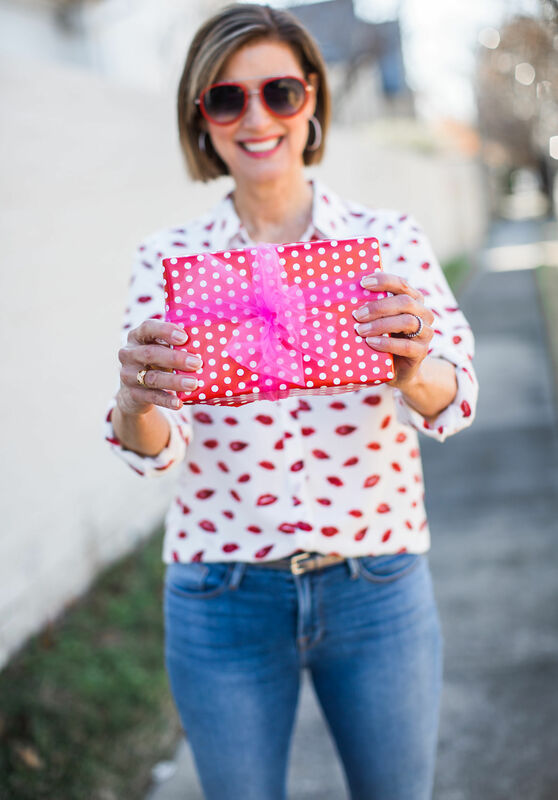 I haven’t thought of any ideas for men because I think most of them really hate Valentine’s Day and having to come up with a gift and fancy expensive dinner for their sweetie. Maybe I will work on men’s gift ideas later. 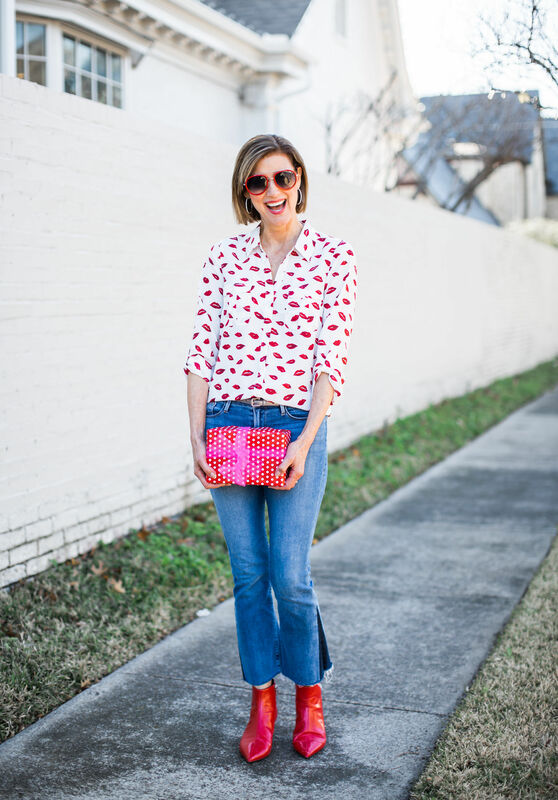 Check out my blog last week for some ideas on what to wear for Valentines’s Day fun outings. When I think of Valentine’s Day it brings back memories of scrambling to get little packs of Valentine’s Day cards for my kids’ class parties and gifts for them and their teachers. I remember a few handmade treasures and love notes from my children. 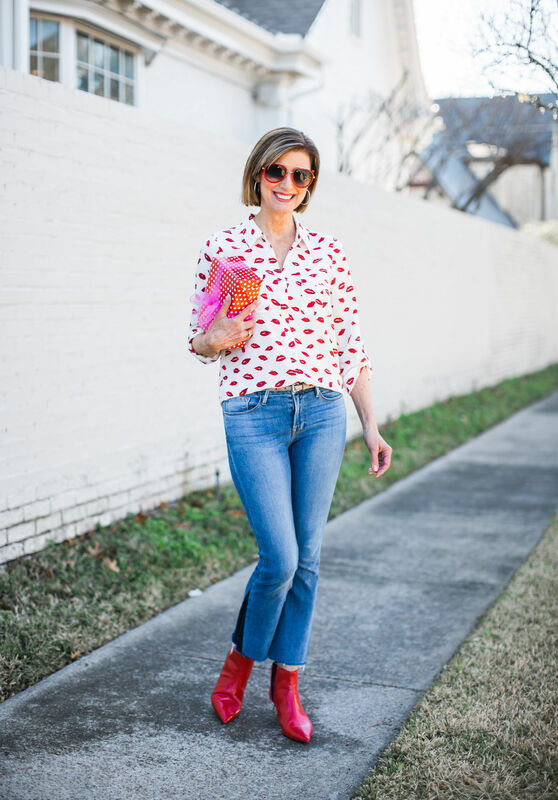 Valentine’s Day is all about red and pink and hearts and love and I have some ideas for the little ones in your life. 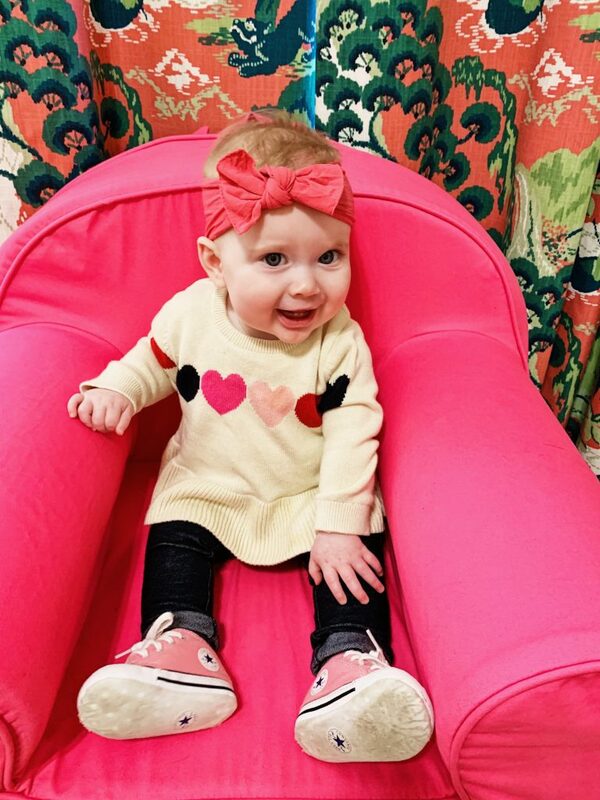 For me it is grand babies now and I kind of found more items for girls like Sloan. I had to let her have a starring role in this blog and love this little sweater I found at the Gap for her. And those pink Converse sneakers!! Too cute!! It’s a new kind of love for sure – these grand babies!! !